Renowned ‘The Manila Times’ columnist Rigoberto D. Tiglao stood against a rather contradicting statement, in his recent write – up, revealing the real score behind the Philippine’s economy more particularly the sudden influx in its Foreign Direct Investments (FDI) since President Rodrigo Duterte came in to power. 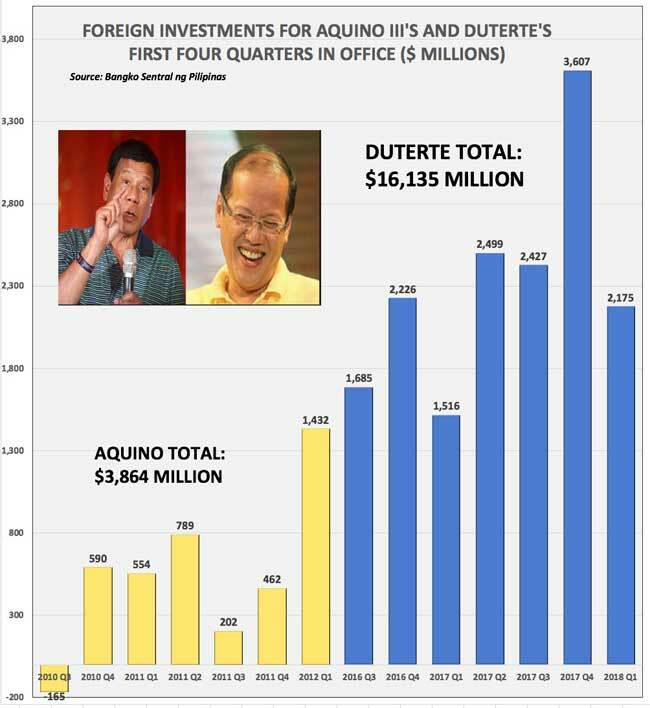 Tiglao asserted that despite the many fallacies of the ‘Yellow’ cult and foreign mainstream media against the Duterte Administration, Bangko Sentral ng Pilipinas (BSP) says otherwise as Foreign Direct Investments (FDI) already peaked at an all – time high of $16 Billion by far between July 2016 – March 2018 of President Duterte’s term. 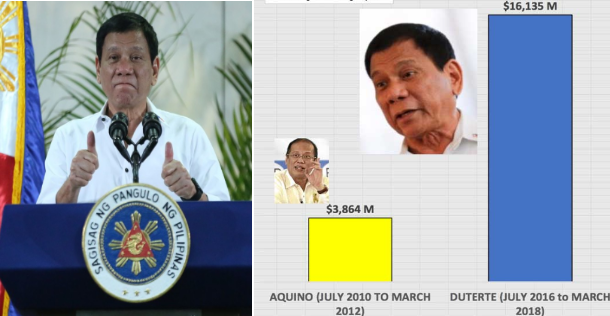 Compared to only $4 Billion that former President Noynoy Aquino took home between July 2010 to March 2012. Tiglao added that “the momentum appears to be continuing as the FDI for the first quarter of this year totaled $3.6 billion, twice the $2 Billion in the first quarter of 2017” which totally disproves an economy in shambles under the present administration as claimed by the ‘Yellow’ propagandists. Heydarian claims in a somewhat boastful manner that, “All the figures and data used in my column were thoroughly fact-checked (anyone who writes for world-class publications should know this) and, crucially, are based on data provided by the Philippine government itself, namely the National Economic and Development Authority, Bangko Sentral ng Pilipinas (BSP), and Philippine Statistics Authority.” – where Tiglao figured out that these ‘figures and data’ were not even validated by the very institution that monitors FDIs, the BSP. Heydarian, at any rate, according to Tiglao should instead focus on International Politics as his field of choice rather than maintaining to be critical of the country’s development amid a rising momentum on FDIs so that a potential inclination to carelessness by someone like him that he possesses, could easily get away with false accusations and hearsays.